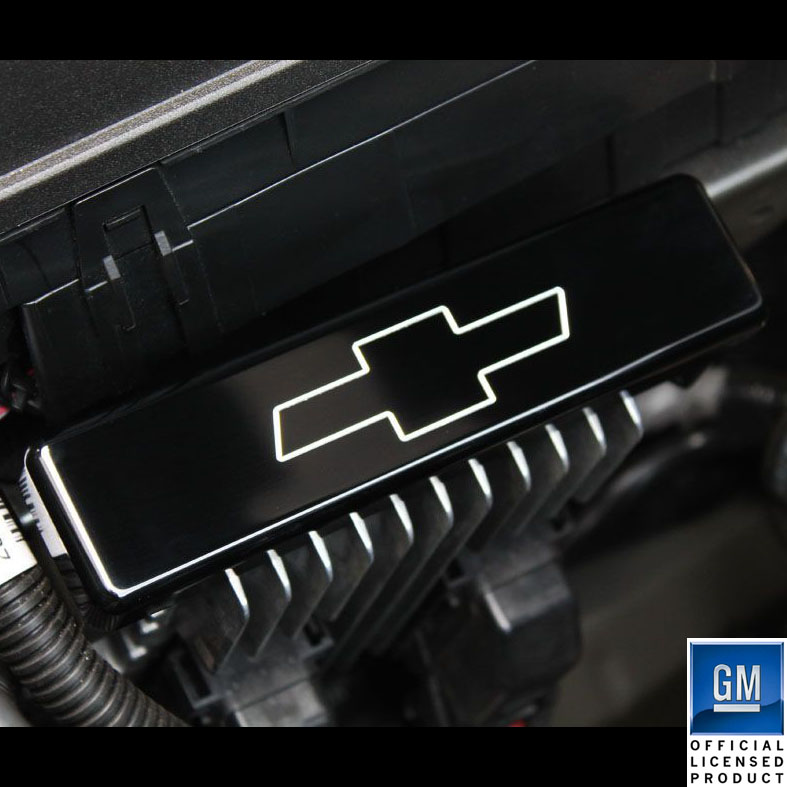 Innovative Bold Styling: Dress up the engine compartment of your 2010-2014 Chevrolet Camaro with the brilliant shine from UPR's Billet Heat Sink Cover with Bowtie engraving. This Billet cover fits over the factory heat sink for a great look under your hood. Quality Construction: CNC Machined from Billet Aluminum with a diamond cut final pass for a precise fit and amazing looks. No one else can Stack up to the bold clean styling of our aftermarket Billet / Stainless Steel Dress Ups, Street / Strip / Racing Suspension and GM Performance Parts for your American Muscle Car! Installs in 5 minutes or less with silicone adhesive (not included). Fits these Vehicles: 2010 2011 2012* 2013* 2014* GM Chevrolet Chevy Camaro SS 2SS/RS Transformers Special Edition. * Does not fit 2012 and newer V6 models Made in the USA!